Visit this page to stay updated with the latest adrenaline pumping offers and deals. Whether you're looking for a short hiking tours or need to plan a long cycling tour, we hope you'll take advantage of our latest offers and unique deals. Make the most of Oman’s amazing biking and hiking routes with these promotions. 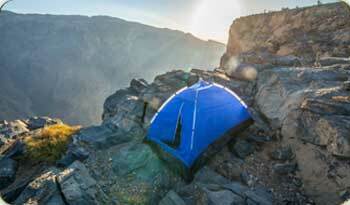 TOP ADVENTURE DEALS IN OMAN! Repeat customers get repeated discounts. After your first tour with us get an additional discount of 5% off on every subsequent tour booked with us. Guests staying at The View Oman will receive an additional discount of 5% on any tour booking at Bike And Hike Oman. Come with your own cycle and get 5 OMR off any cycling tour price.